Christine Wheeler & Friends perform a beautiful concert to celebrate the nexus between poetry & song. This is contemporary folk, coloured with jazz-tinged harmonies, Celtic instruments and richly textured arrangements from 4 accomplished musicians. 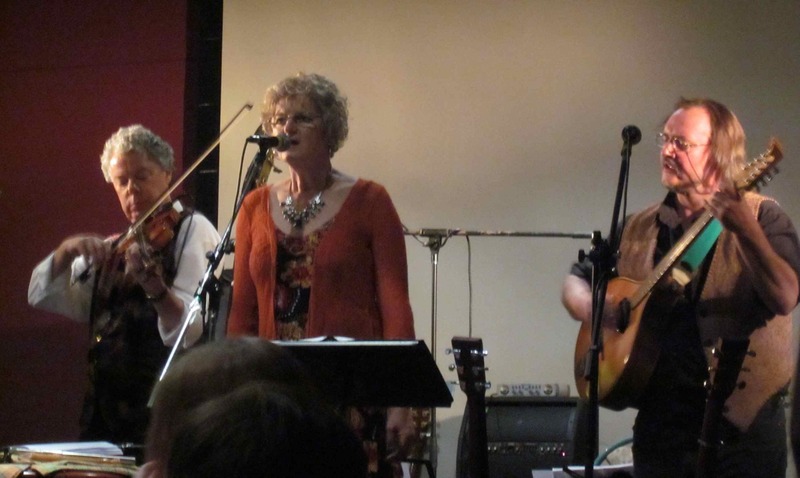 Thanks in part to a Cultural Partnerships Grant from the Blue Mountains Council in 2011, Christine was able to bring together an impressive group of mainly mountains based musicians and record ‘Rain in the Mountains: Songs from Henry Lawson’. 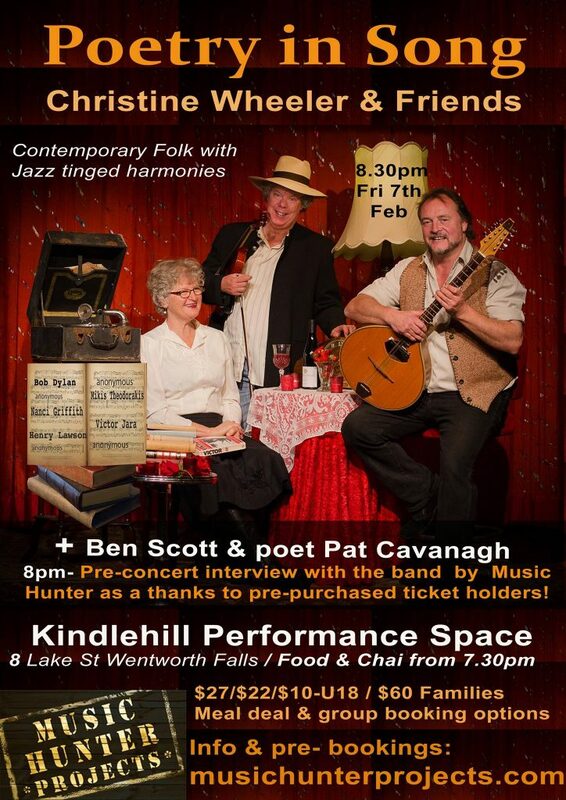 About this concert: Beginning with Australia’s Henry Lawson, the poet who gave voice to Australia’s emerging identity, the concert embraces songs by Bob Dylan, the reluctant prophet of a generation and Victor Jara, whose songs became a potent weapon for political change. There are works by iconic Greek composer Mikis Theodorakis, American Nanci Griffith and anonymous songs from 19th century Ireland and 14 th century Spain that continue to speak of universal human dilemmas. Leigh Birkett, a skilled and flexible accompanist on guitar and bouzouki, brings a vivid originality to arranging these beautiful songs. Simon Watts, veteran fiddle and bodhran player and recipient of a Tamworth Golden Fiddle Award. Michael Vidale, one of Sydney’s most sought after bass players who claims a brief early childhood encounter with Louis Armstrong is to blame for his musical notoriety. and other guests from the original recording. What they produced is jawdroppingly beautiful, with the power to evoke tears and laughter in the one concert ! SINCE POSTPONEMENT DUE TO OCT FIRES, THIS CONCERT IS WARMLY ANTICIPATED. 8pm pre-concert interview with band by the Music Hunter and filmed live!